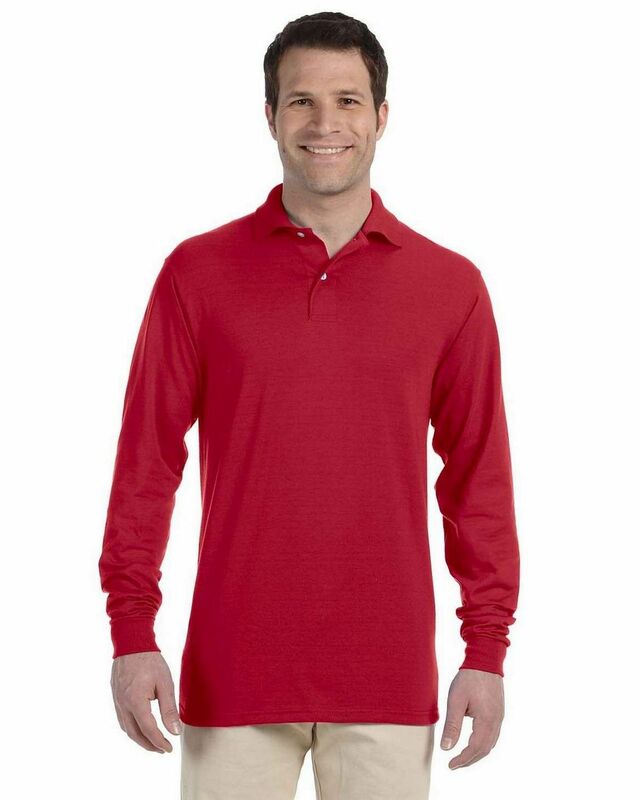 Jerzees 437ML 50/50 L-Sleeve Jersey Polo is made of 50% cotton and 50% Polyester 5.6 oz, weight. 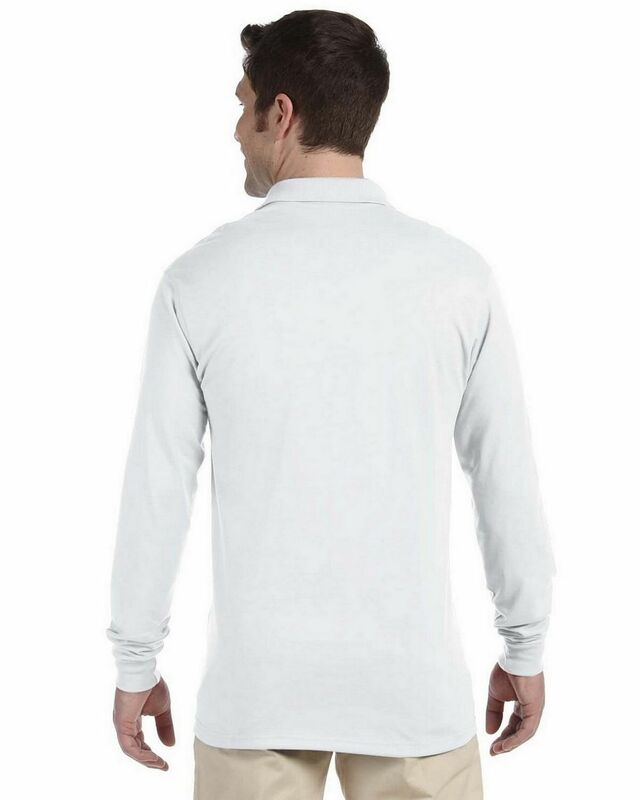 Applied spotshield in this shirt which repels water and keep you stain free for a clean professional look. Fabric: 5.6 oz. 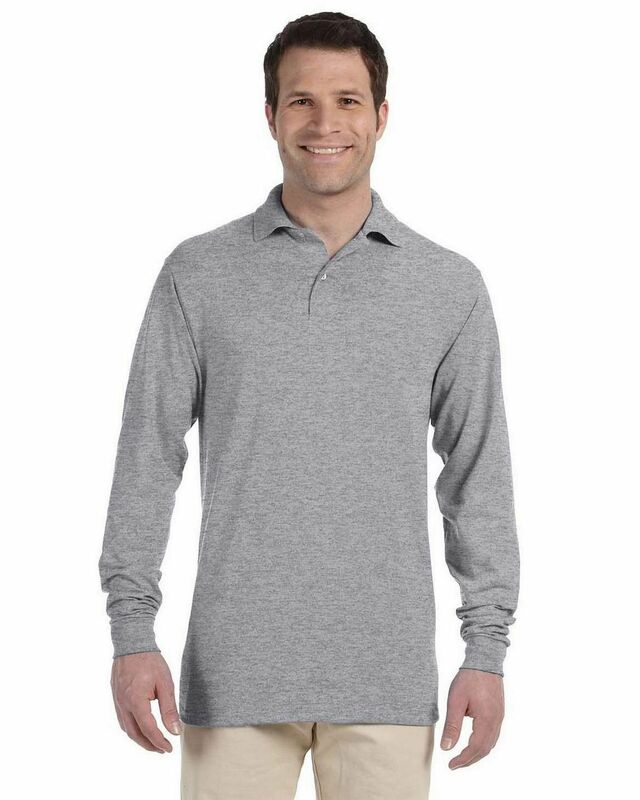 50% cotton, 50% Polyester Preshrunk Jersey. Oxford is 47% cotton/53% Polyester. 1x1 Rib Knit cuffs. 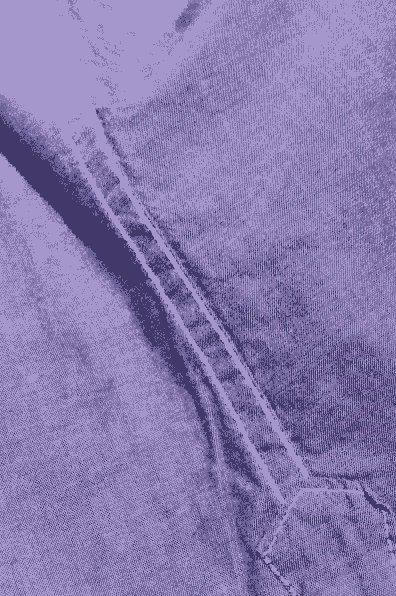 Two-button Placket with Pearlized Buttons and bottom box stitched reinforcement. 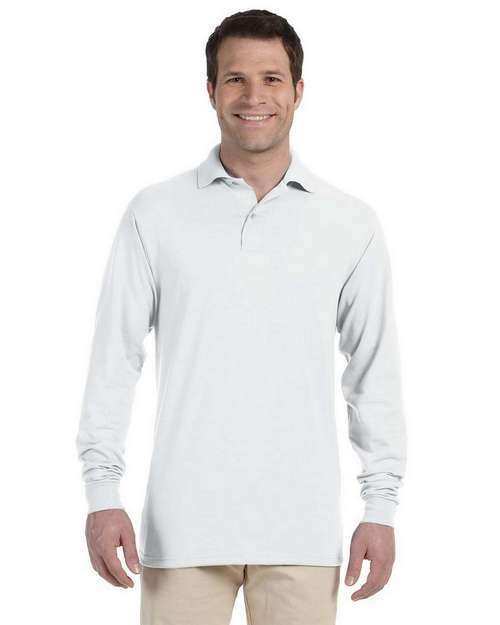 Worry-free sport shirt with stain resistance. seamless body with welt knit collar. The embroidery was up to standard and tight woven. 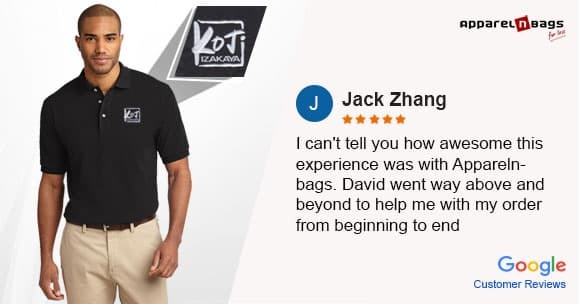 The quality of shirt is great and very comfortable to wear. Love this shirt....feels comfortable and the fit is perfect....arrived as expected and I plan to purchase more colors of this jersey. The quality is good and these look great with dress pants. I receive a lot of compliments on the shirt. They are somewhat lightweight but very comfortable. 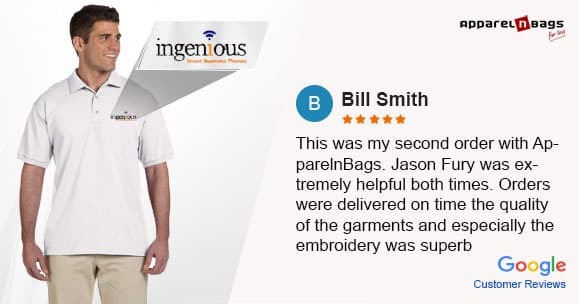 Thanks ApparelnBags. 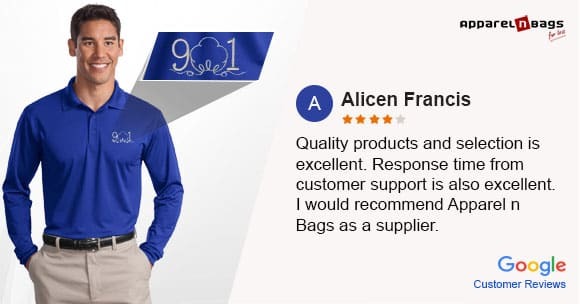 Soft and comfortable, I needed the polo tshirt my work and it came right on time and it fits perfectly,I bought the medium size and it fit me really good, I would recommend it, Thanks ApaprelnBags. These polos looks sharp and are good for business casual style. Soft and elegant, Neat stitching makes this unique. 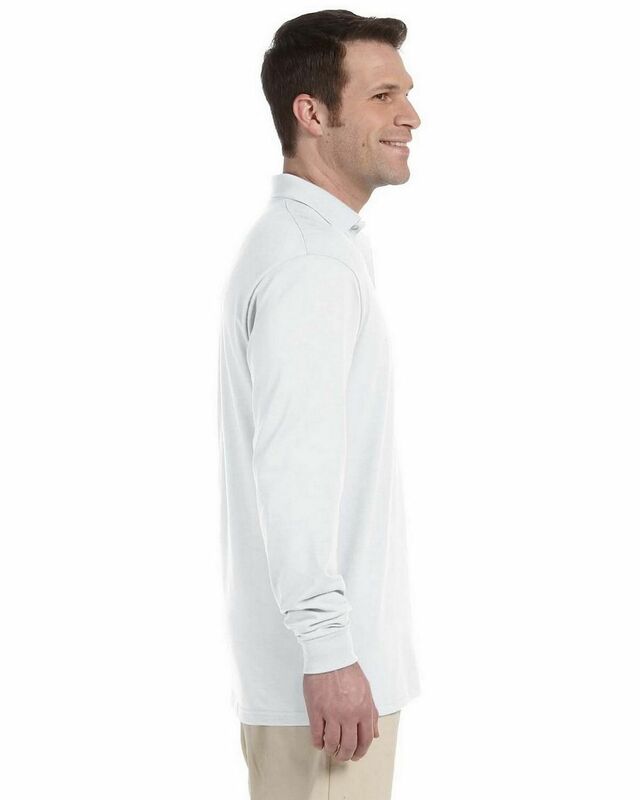 The shirts I ordered were exactly what I expected and fit well. Thanks ApparelnBags. Soft and comfortable, Elegant style and vibrant colors are combined with this polo and I got him this shirt in Forest Green and the color was very rich. Very pleased with my purchase. 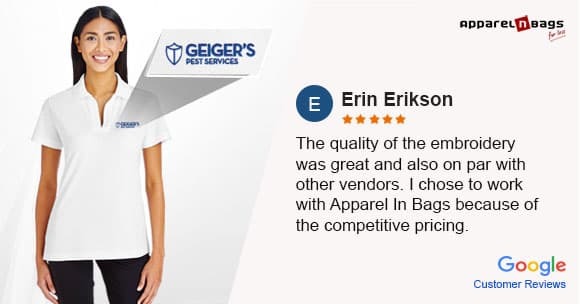 Thanks to ApparelnBags to maintained their standard. 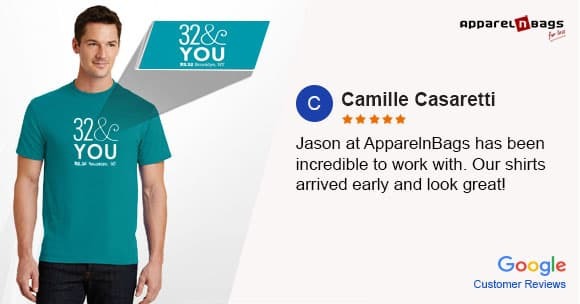 The shirts I ordered were exactly what I expected and fit well. 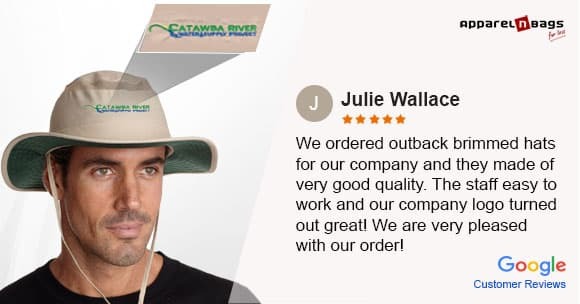 Amazing product and nice product and thanks to fastest delivery. 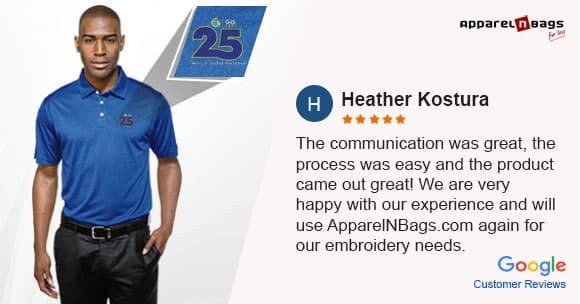 Soft and comfortable, I needed the polo tshirt my work and it came right on time and it fits perfectly,I bought the medium size and it fit me really good,I would recommend to everyone Its great.